What Makes a Behavior Autistic? If you know anything at all about autism, you know that people with autism are about as different from one another as they could be. And yet... the Web is filled with articles about managing, changing, and understanding "autistic behaviors." Which begs the question — what the heck ARE these "autistic behaviors," and what makes them "autistic?" Autistic behaviors are, supposedly, behaviors engaged in by people with autism that are not generally engaged in by people WITHOUT autism. The reality, however, is that all of the behaviors associated with autism are ​also associated with many different groups of people — including, in some cases, humanity as a whole. Who hasn't, at some point, thrown a temper tantrum, had difficulty with social communication, felt overwhelmed by sensory input, or behaved in an aggressive or self-injurious manner? Who hasn't had trouble sleeping, gotten into a behavioral rut, or found it difficult to make a change? All of these are often described as symptoms of autism. They're also variously described as symptoms of anxiety, depression, OCD, ADHD, PTSD, mood disorder, and — normal human ups and downs. What makes autistic behavior different, then, isn't the behavior itself but the reasons for the behavior and the way the behavior looks to outside observers. Aggressive and self-injurious behavior, for example, is often listed as a "symptom of autism" (despite the fact that it is not included in the diagnostic criteria for autism). There are certainly people with autism who are aggressive and/or self-injurious — but by the same token human beings around the world hurt others and themselves, all the time, for a huge number of reasons. Bullying, gang behaviors, self-cutting, drug abuse, and a whole raft of other behaviors are typical of the human condition. So what is it about aggression and self-injury that is specifically "autistic?" The answer lies in the fact that people with autism are likely to be aggressive and/or self-abusive in very specific ways, and for specific reasons. Autistic aggression and self-injury don't look like a thug with a shiv in an alley, or like a bully ambushing a smaller child as he walks home. It doesn't look like a brother whacking his sister because he can, or like a husband beating his wife in a fit of rage. 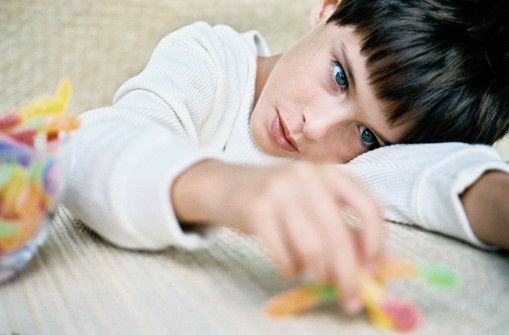 Autistic aggression looks like an individual who is unable to manage or control his or her sensations, needs, or emotions, and, as a result, flails, hits, bites, or head-bangs. Unlike aggression in typical people, autistic aggression is almost never the result of malice, jealousy, or the desire to hurt or humiliate others. It is almost always the result, instead, of frustration, fear, anxiety, or physical (sensory) discomfort or pain. Autistic people very, very rarely plan to be aggressive, nor do they collaborate with others to cause pain. Instead, they generally react on the spot to a situation that they can't cope with. Similarly, though everyone has experienced social awkwardness, "autistic" difficulties with social engagement are unusual — not because they exist, but because of their cause and appearance. People with autism (unlike most other people) are very unlikely to intentionally hurt another human being's feelings, humiliate another person, or otherwise cause social pain. In fact, "autistic" social difficulties usually relate to differences in speech patterns, difficulties with understanding subtle body language, and challenges with grasping the invisible social norms that most people intuitively grasp. While a typical person might deliberately humiliate a classmate, for example, a person with autism would be more likely to ask an inappropriate question. Why Are "Autistic Behaviors" a Problem? Very often, autistic behaviors are neither more nor less problematic than the same behaviors would be in a typically developing individual. Sometimes the same behaviors in a typical person would not even be noticed. But because people with autism are scrutinized all day, every day, by teachers, therapists, parents, and almost everyone else around them, their behaviors are labeled, treated, and — in many cases, "extinguished." Are You Neurotypical or Neurodiverse?